Update, October 30: The International Olympic Committee has explained what it will take for esports to ever become an Olympic event. The International Olympic Committee (IOC) syas that if esports are ever to take their place at the Olympics, they’ll need a worldwide governing federation with which to negotiate. 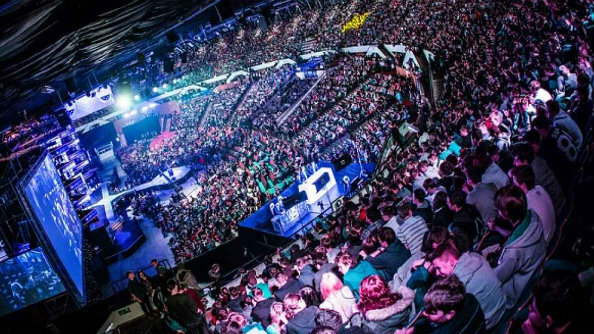 As well as reiterating that violent games that might “infringe on the Olympic values,” which might include games like Counter-Strike: Global Offensive and League of Legends, the IOC says esports would require an official, worldwide, ruling body before it could make the cut. Think the Federation Internationale de Football Association (FIFA) for football, or the International Association of Athletics Federations for track and field events. That would obviously be a tricky task, as esports are owned by private companies. EA and Konami have the rights to the two most popular football games, FIFA and Pro Evolution Soccer, Valve own CS:GO, and Riot Games own League of Legends. The IOC’s announcement suggests that in order for any of these games to make it into the Olympics, every major esport company would have to agree to be part of a central body. It could be a long time yet before you see your favourite games on the Olympic stage. Original story, August 31:If you were hoping to see games like League of Legends and Overwatch make it to the Olympics one day, you might be out of luck. Thomas Bach, the president of the International Olympic Committee, says that violent games won’t be considered for the games. While esports are being considered for a place at the Olympics, violent games, particularly shooters like Call of Duty and Overwatch, are perceived to be against ‘Olympic values’. This means that you’re far more likely to see sports games like FIFA and NBA 2K feature instead, in the hope that these games might even encourage people to take up the real-life versions of the games. While you won’t be seeing the world’s biggest esports at the Olympics, they will be making a showing at the 2018 and 2022 Asian Games. The tournaments, which will take place in Jakarta and Hangzhou respectively, are the world’s second-biggest multisport event after the Olympics themselves, and esports will make a showing as part of a partnership between Chinese ISP Alibaba and the Olympic Council of Asia. The esports that will be appearing at the Asian Games haven’t been confirmed, but it’s likely that Starcraft and League of Legends will be, given they have significant followings in Asia.